September 12, 2017 marked the opening of the 72nd UN General Assembly (UNGA), the annual convening of world leaders that serves as the main policy-making and convening platform for the United Nations. 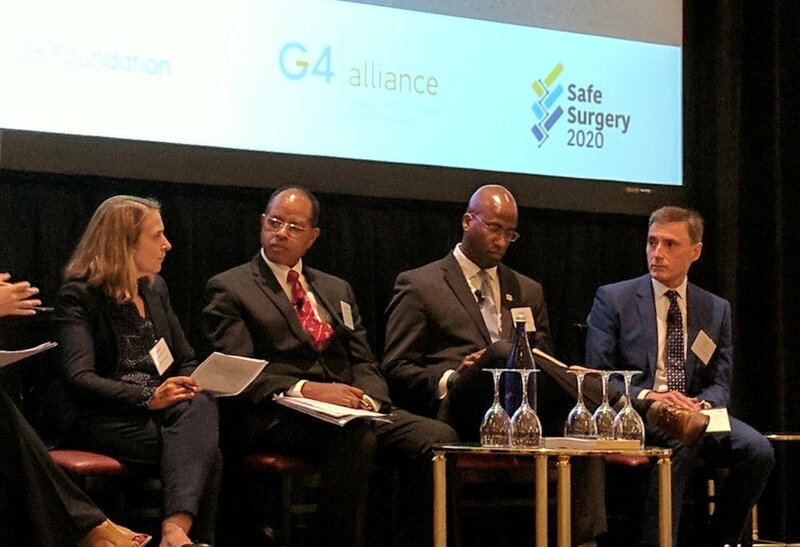 The G4 Alliance coordinated a delegation of member advocates to attend the UNGA representing safe surgery, and promoting its essential role in achieving both the Sustainable Development Goals and universal health coverage. 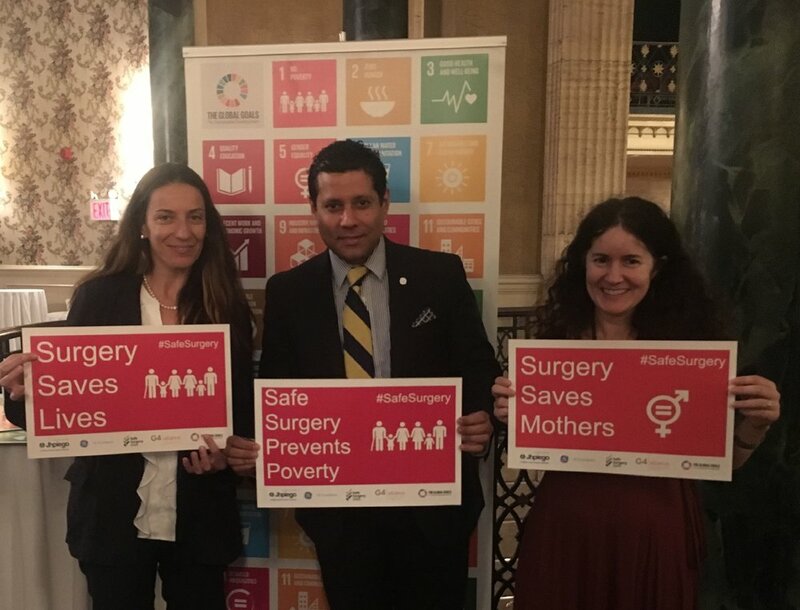 Thanks to the active engagement of our members and partners, there was no shortage of discussion and action around safe surgery at this year's UNGA! 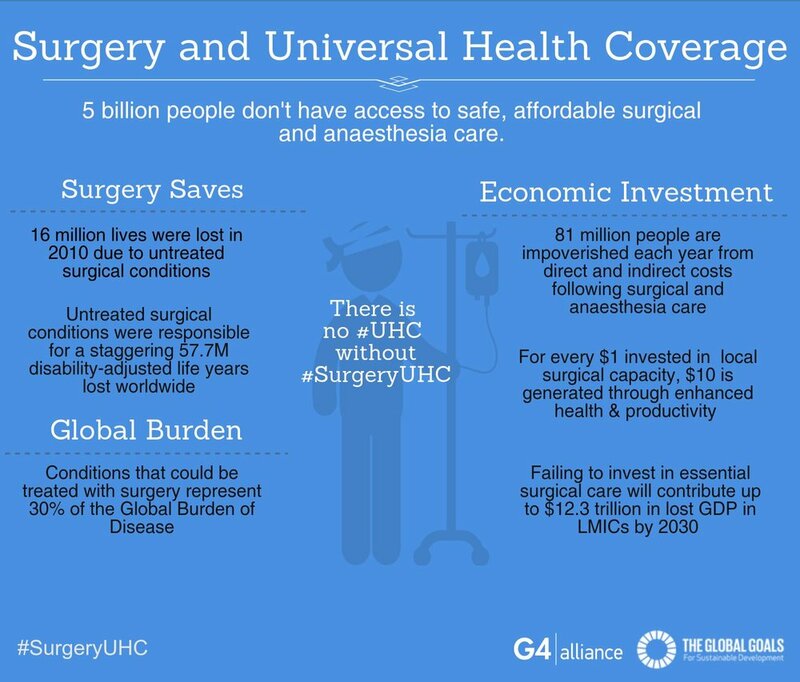 There is no #UHC without #SurgeryUHC! G4 members and partners came together to generate a resounding Twitter Thunderclap on Monday September 18th. Using the hashtags #SurgeryUHC and #SafeSurgery, participants called upon world leaders to recognize the essential role of surgical care as part of universal health coverage (UHC). This campaign was timed in advance of a high-profile UNGA event entitled "World Leaders for Universal Health Coverage: A High-Level Discussion at the United Nations on Achieving the SDGs Through Health for All." Online advocacy reached 59,724 people directly over social media, raising the profile of global surgery and world leaders. Thanks to all who joined us! The G4 Alliance coordinated a delegation of members to participate at this year's UNGA . Over 20 delegates attended a high-level event at the UN bringing together world leaders to discuss progress towards achieving universal health coverage (UHC). In addition to promoting our #SurgeryUHC campaign, our delegation had the opportunity to engage directly with a number of key leaders including Dr. Tedros Adhanom (Director General of the World Health Organization) and representatives from the World Bank, Rockefeller Foundation, UHC 2030, UHC Coalition and various UN Agencies . A special thanks to all members who participated at UNGA, especially the team from the Harvard Program in Global Surgery and Social Change for contributing much time and energy to our campaign. We will continue to build on these advocacy efforts to ensure leaders such as Dr. Tedros continue to advocate for the essential role of surgery to achieve UHC and health for all! Each year, more than 300,000 women die from preventable surgical conditions during pregnancy or labor. The same conditions that kill mothers often result in the death of their newborns. 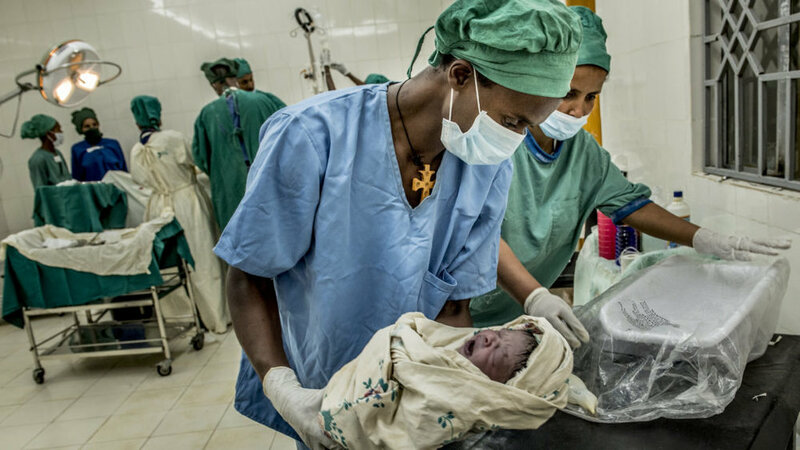 These tragedies are by no means inevitable — safe surgery can prevent the maternal and newborn deaths that devastate so many families around the world. 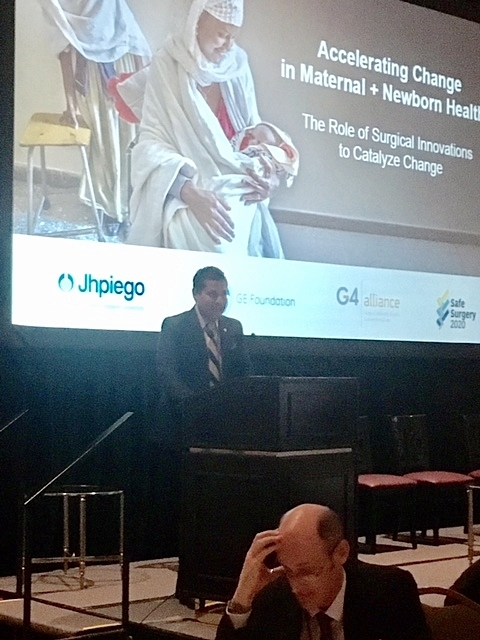 To shed light upon this global injustice, the G4 Alliance, in partnership with Jhpiego, GE Foundation and Safe Surgery 2020, co-hosted an advocacy side event entitled, "Accelerating Progress in Maternal + Newborn Health: The Role of Surgical Innovations to Catalyze Change". Speakers and panelists highlighted the critical role of surgery in averting preventable maternal and newborn deaths and focused upon the strategies and tools that are making an impact. Special remarks were shared by Mr. John Rice, Vice-Chairman of GE and President & CEO of GE Global Growth and Operations, Dr. Tim Evans, Senior Director of Health, Nutrition & Population, World Bank and Dr. Leslie Mancuso, President and CEO, Jhpiego. The event was moderated by Ambassador Dr. Neil Parsan, G4 Alliance Board Chair & Special Advisor to the World Bank. For an in-depth look at the discussion and outcomes of the event, please read these fantastic pieces from our friends at Global Health NOW and GE Reports. "The scope of the problem is clear: More than 300,000 women will die from preventable conditions during pregnancy, such as a ruptured uterus or obstructed labor." Dayna Kerecman Myers, Writer/Editor for Global Health NOW. Essential surgery and the great work of G4 members were in the spotlight at Johnson & Johnson's UNGA event. On September 20th, J&J hosted "Big, Bold Ideas to Achieve the SDGs: The Johnson & Johnson Commitment to Improve Health for Humanity". The event featured a Changemaker's Expo to highlight the work of J&J partners, including G4 Members Operation Smile, CCBRT/Kupona Foundation & Smile Train. 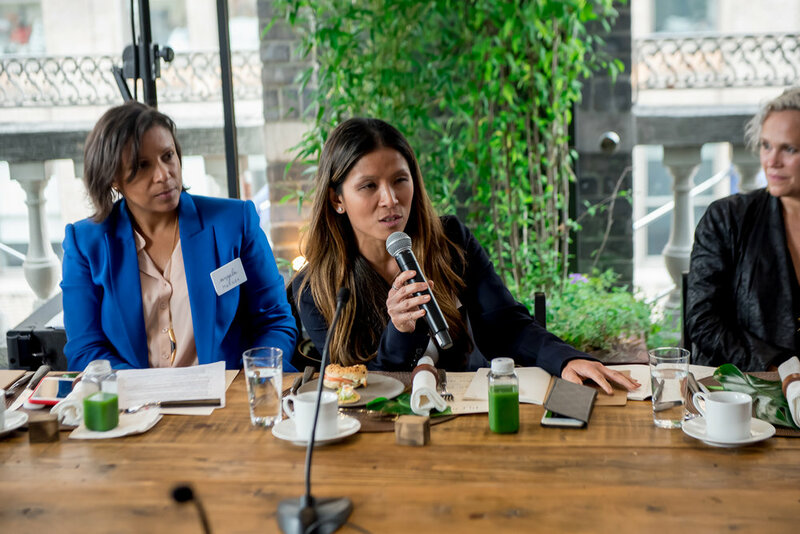 The event also featured a panel discussion showcasing the company's commitment to the Global Goals, including a commitment to bring safe, essential, and timely surgical care to 50 million people over the next 5 years. Dr. Rusty (Ross) Segan, CMO, Medical Devices and Global Medical Affairs served as the voice for surgery on the panel. Our thanks to Dr. Segan for highlighting the essential role of surgery as a cross-cutting strategy for achieving the SDGs and for noting the importance of civil society networks such as the G4 Alliance for helping to fulfill these goals. Dr. Segan spoke to the economic potential of essential surgery, emphasizing that LMIC economies stand to lose 12.3 trillion dollars without the swift integration of safe surgical and anaesthesia care. We commend Johnson & Johnson on their commitment to global surgery! The Global First Ladies Alliance (GFLA) is a non-profit organization that supports First Ladies in their efforts to advance positive change in their communities and around the world. 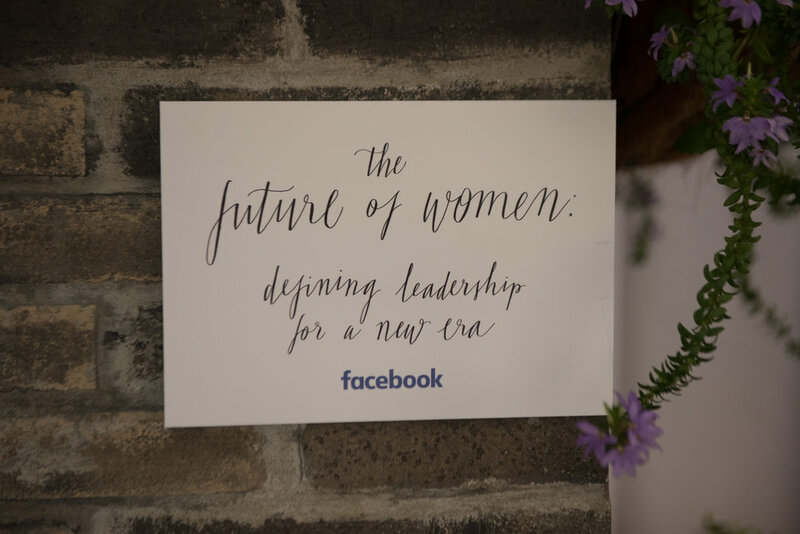 On Thursday September 21st, we were invited to participate in The Future of Women, a day-long summit hosted in parallel with the UNGA, and co-hosted by the GFLA, Facebook, MAC AIDS Fund and OkayAfrica. The objectives of this interactive event were to "feature tangible solutions for creating more equitable societies, host working sessions on women’s empowerment, and explore the role of technology and social media in amplifying voices and impacting positive change." Founding G4 Alliance Executive Director Dr. Jaymie Henry was invited to discuss the importance of essential surgery during an intimate round table discussion with First Ladies and their cabinets. Dr. Henry and G4 Director of Operations Ms. Mira Mehes also participated in a workshop with leadership from the GFLA and First Ladies' Chiefs of Staff to discuss how surgery can be integrated as part of national advocacy, SDG campaigns and health portfolios. Read more about the event here. Too many women face death while giving birth. Here’s how we can improve their chances. By Monica Kerrigan (Jhpiego) in The Lily, Sept, 2017. Saving Mothers: ‘No Woman Should Die Giving Life,’ Safe Surgery Partners Stress By Tomas Kellner (GE) in GE Reports, Sept, 2017. In countries with a shortage of surgeons, other health care workers can fill in the gaps By Dr. Tigistu Adamu Ashengo (Jhpiego) in STAT, Aug, 2017. Childbirth Is Awe-Inspiring. Making It Safe Shouldn’t Be. By Adam Lewis (Gradian) in Huffpost, Aug, 2017. Surgery must be a core part of health care – even in the poorest countries. By David Barash (GE Foundation) in The Guardian, Aug, 2017.